We have already made the announcement here on the rmd Studio website. 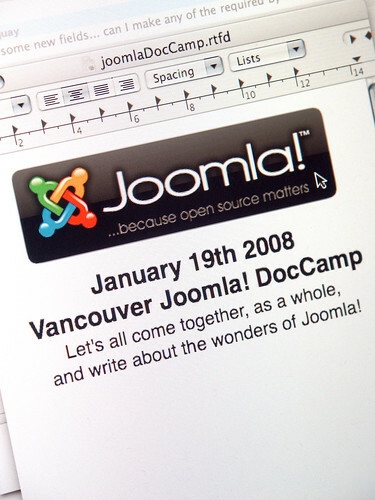 We are getting together on January 19th 2008 at the Network Hub to write documentation for the new Joomla! 1.5 content management system. Please Announce your availability by registering here. We would like to thank Minna and Robert at the Networkhub who have given us their beautiful work space including free Wi-Fi access. Next Next post: Did I hear a code freeze?